Magical Moonstones, Endless Possibilities and our continued support for Beads of Courage this month at the Gemstore, Knoxville's Treasure Chest. 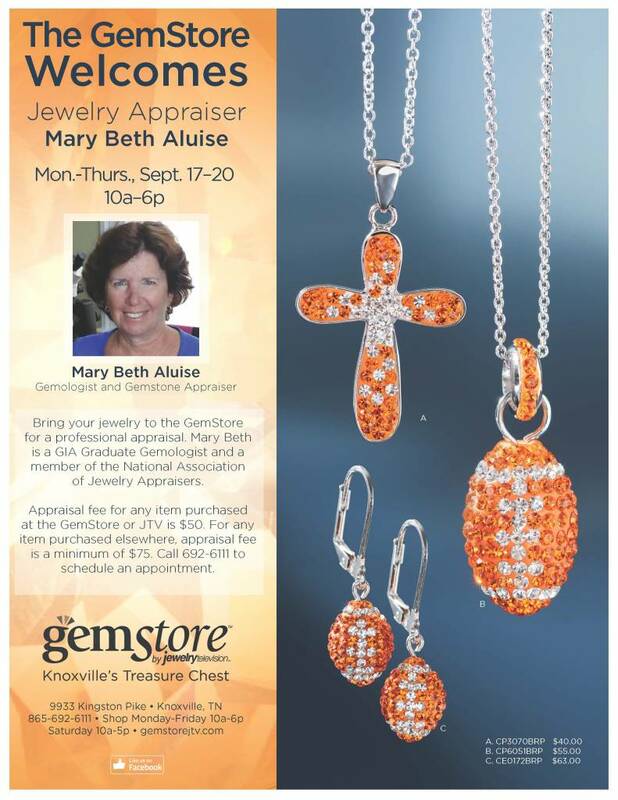 Come visit us to see the exquisite beauty of our Rainbow Moonstones, custom your own Les Georgettes Bracelet and show your support for the East Tennessee Children's Hospital during their Beads of Courage fundraiser. Let there be Joy! Timeless & Trending, the pearls offered here at the GemStore are the perfect holiday gift for that special someone in your life! 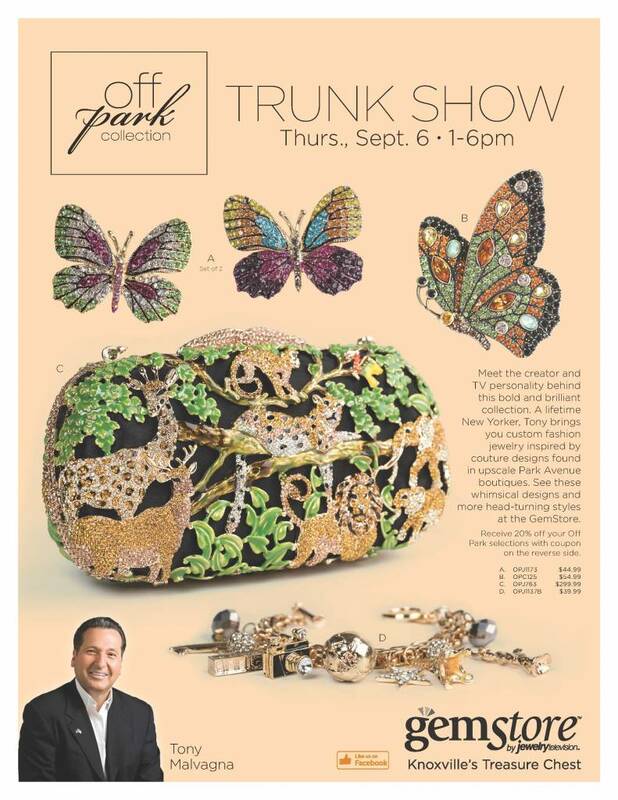 Come see our BELLARRI Trunk Show event Wednesday, August 1st, from 4 - 8 PM at the JTV Roof Top Cafe, 9600 Parkside Drive, Knoxville, TN 37922. 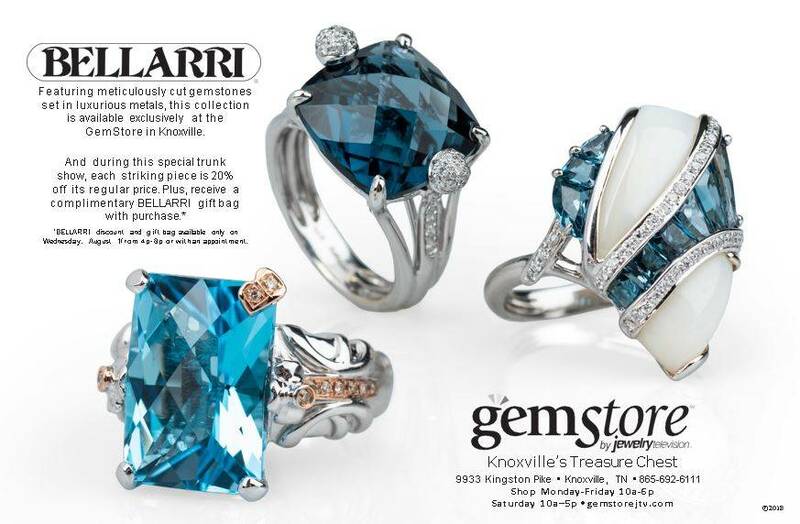 Where we will feature breath-taking jewelry, enjoy wine, champagne, light refreshments and the curated beauty of BELLARRI Jewelry.